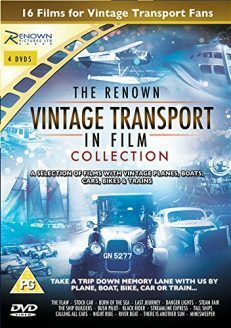 Over Ten Hours of 14 films and shorts in this superb 3 DVD Box Set with many of the films previously â€˜lost` and making their first appearance on DVD. One such film is THEATRE ROYAL (1943) Stars: Flanagan & Allen, Peggy Dexter and Finlay Currie. A manager of a theatre is broke, but rather than let the theatre close and fall into a rivals hands, the staff put on a show to raise the funds to keep it open! Love is Up in the Gallery` and the original music hall stars appear on archival footage. MUSIC HALL (1934) Stars George Carney, Ben Field and Helena Pickard in a story about a Benefit Concert for an ailing music hall. Many original music halls stars appear including Debroy Somers Band, G H Elliott and Olive Sloan. SARAH REMEMBERS (1952) is a film by Wilf Watters and features the recollections of an elderly resident of Hoxton, from the bombings and the changes that are happening to the area and personal memories of The Hoxton Music Hall. VARIETY JUBILEE (1943) stars Reginald Purdell, Ellis Irving and Lesley Brook. Set in the 1900s, two variety stars Kit Burns and Joe Swann are friends. Kit even marries Joe`s dancing partner Evelyn. Bullets in the Boer War end Joe`s dancing and he goes to work at the Burn`s Music Hall, which Joe & Kit buy. 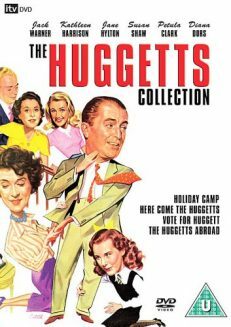 This film features the great music hall act Wilson, Keppel and Betty. 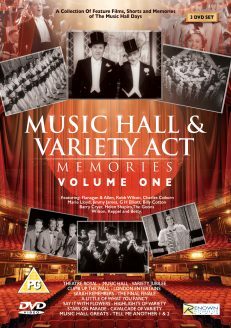 HIGHLIGHTS OF VARIETY (1938) Highlights from the acts of Bell & Howell Music Hall features singing trio The Radio Three, Xylophonist Teddy Brown and a sketch from Harry Tate Jr. THE FINAL FINALE (1968) Filmed by Wilf Watters, we follow the demolition of one of London`s greatest Music Halls, The Bedford Theatre, which played host to many of Britain’s finest acts. We have unprecedented access around the site as we say a final farewell and witness the demolition. SAY IT WITH FLOWERS (1934) Stars Mary Clare, Ben Field and George Carney. When a market working couple fall on hard times, their colleagues put on a benefit concert to help them, which feature Charles (The Man Who Broke the Bank at Monte Carlo) Coborn, Florrie (Has Anybody Here Seen Kelly?) Forde and musical comedy star Marie Kendall – grandmother of Kay Kendall. 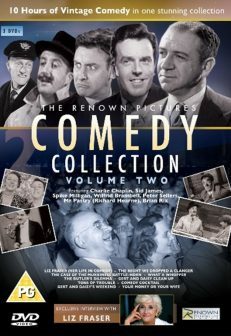 LONDON ENTERTAINS (1951) Eamonn Andrews takes us on a tour of a variety of entertainment from Diana Coupland, Gloria Swanson, Ray Ellington, The Goons and Les Girls des Folies-BergÃ¨re. CLIMB UP THE WALL (1960) Stars Jack Jackson, Glen Mason, Russ Conway, Craig Douglas, Libby Morris and archive footage of Harry Secombe, Peter Sellers, Elvis Presley and many more! 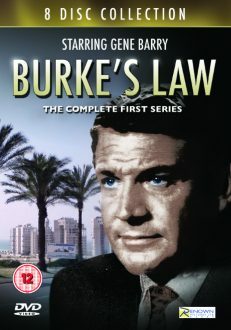 The film is also the first film directed by Michael Winner. CAVALCADE OF VARIETY (1940) Directed by Thomas Bentley. Peter Brough and Archie Andrews present a variety bill that includes Billy Cotton and his Band, Eve Becke, The Four Air Aces, Bobbie â€˜Uke` Henshaw and Sam Barton. Also on the bill are The Sherman Fisher Girls, The Radio Three, The Arnaut Brothers and The Empire Girls. STARS ON PARADE (1936) Made at Cricklewood Studios in North London it stars Syd Harrison, Max Harrison and Pat O`Brien. 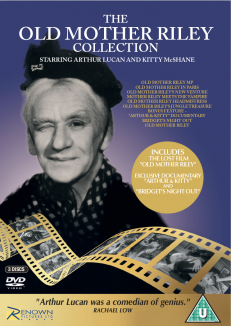 This film features some of Britain`s finest variety acts including Arthur Lucan and Kitty McShane, Robb Wilton, Albert Whelan, Navarre, Mabel Constanduros and Jimmy James. MUSIC HALL GREATS: TELL ME ANOTHER (1) features Norman Wisdom, Charlie Drake, Roy Castle and more as they share memories of how their careers began in the music halls, while in part (2), Billy Dainty, Dickie Henderson, Tommy Trinder and Reg Varney tell us the jobs they did before showbusiness and their early career in the theatres to complete our box set of Variety and Music Hall.